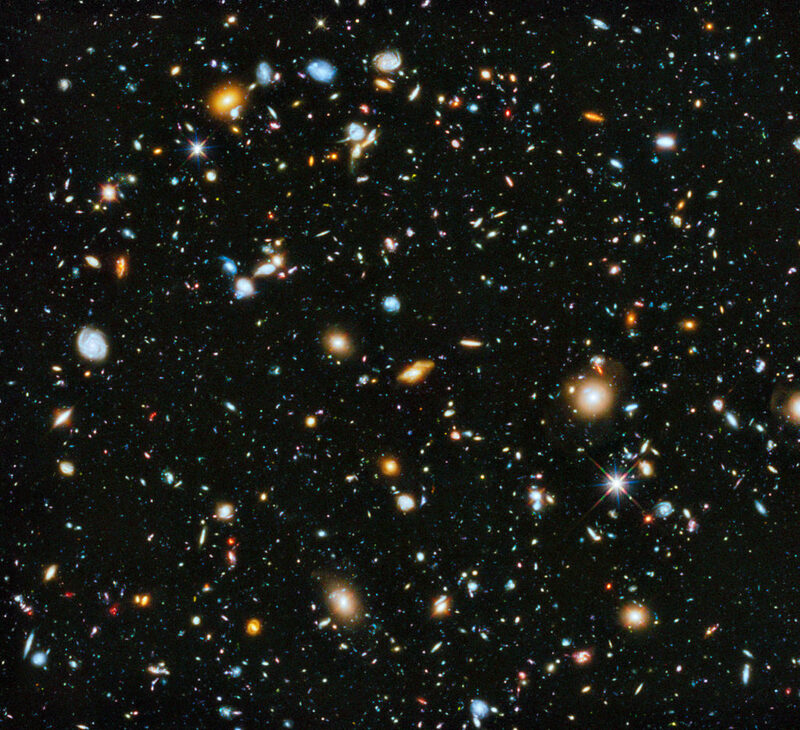 Hubble Ultra-Deep Field (HUDF) image (full range of ultraviolet to near-infrared light). Credit: NASA, via Wikipedia. Join us Friday night for a tasty selection of Cosmic Queries selected for your entertainment and edification by our producers and your maître d’, Eugene Mirman. The answers to our fan-submitted questions are cooked up by not one, but two chefs de cosmic cuisine: astrophysicist Neil deGrasse Tyson and guest astrophysicist Charles Liu. As most of you know, Dr. Liu is our most frequent guest on StarTalk, and is also one of the hosts of our new StarTalk All-Stars program, premiering later this spring. There’s plenty to feast on, from how to make asteroid mining profitable, to the Fermi Paradox, to misbehaving neutrinos, to maximally spinning Kerr black holes, to what will happen to Earth, Mars and the asteroid belt when the sun becomes a red giant 5 billion or so years from now. Side dishes include Graham’s Number, Skewes Number and Hubble’s Constant. And for dessert, we’ve got a “How Tweet It Is” segment with Neil and Bill Nye discussing who makes a more attractive mate and whose genes are more likely to be passed on: the exciting caveman explorers who go over the hill in search of adventure, or the more conservative cave-accountants who stay behind? The table is set. The wine has been decanted. All we need is you. Dinner will be served this Friday at 7 pm EDT on our website, as well as on iTunes Podcasts, Stitcher, TuneIn, SoundCloud and now, on Google Play Music. StarTalk Live! Takes On Awesome Con for the First Time!